Jim Fidler specializes in providing occupational health and safety training courses. Take action NOW, to avoid a visit from a Federal Health and Safety Inspector! Some of the services I offer to federally regulated and private organizations are: Presentations and Training Services, Health and Safety Committee Services, Workplace Safety Services, Employers and Employees Rights Training, Canada Labour Code Interpretation Services and Alternative Dispute Resolution Services. The Importance of Health and Safety Courses. An efficient and well-organized training program can significantly reduce financial losses, injuries, deaths, property damage, legal liabilities, illnesses, workers’ compensation claims, and lost work hours. Safety training classes encourage a safety culture where the employees themselves promote proper safety procedures. Required for all federally regulated employees. Under the Canada Labour Code, Federally Regulated Employers require Mandatory Safety Committee Training to protect the health and safety of employees! Don't forget about violence prevention training either! Don't wait for an inspector to find deficiencies! Meet the Health and Safety Instructor. Who better to teach workplace health and safety than an experienced and qualified former federal Health and Safety Inspector for Labour Canada? People from many organizations have attended Jim Fidler’s courses and consultations. They have found them to be informative, beneficial and professionally delivered. Which employers are considered federally regulated and frequently asked questions. Did you know that all businesses and organizations are covered by either the provincial or federal labour laws, including First Nations organizations? 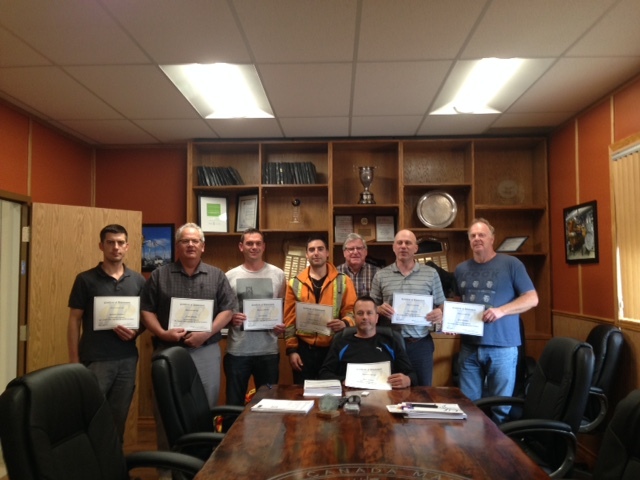 Congratulations to Anishinaabeg of Kabapikotawangag Resource Council Inc. and to Whitesand First Nations for receiving and completing our Safety Course Material. I find that the Health and Safety course was pretty interesting. Watching the videos made me realize more about being aware of danger in any workplace. 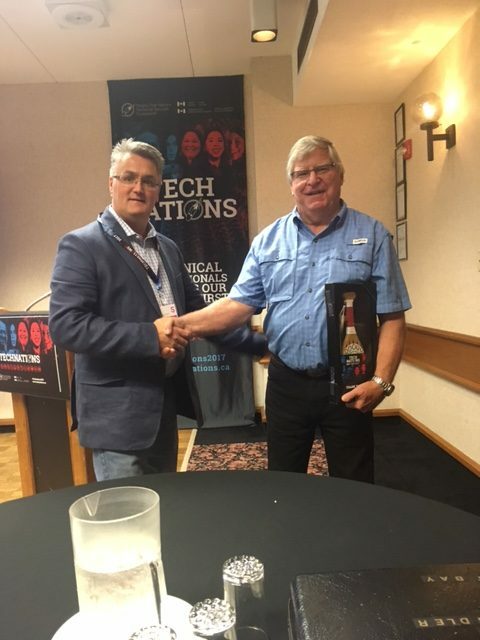 Jim Fidler presenting at the Tech Nations Conference. 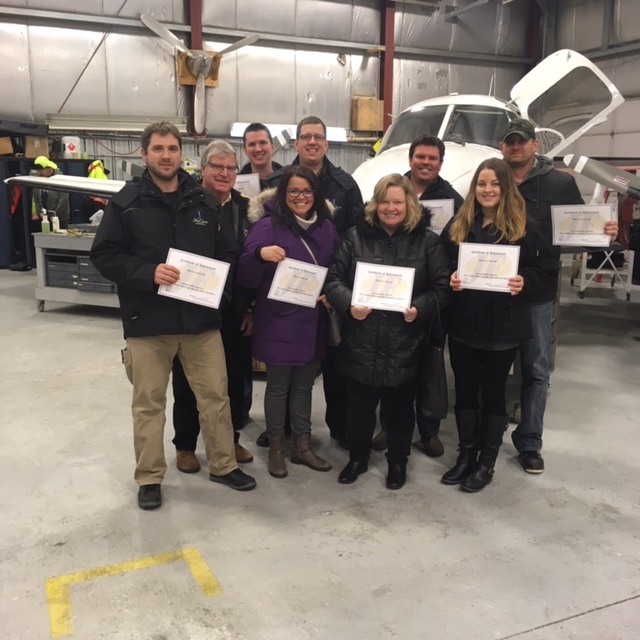 Participants with SkyCare Air Ambulance recently completed the Canada Labour Code Health and Safety Training program. Know what regulations you fall under!